At The Olive Oil Emporium we understand that your online shopping privacy is very important. The information collected from our customers is used only to contact you regarding the orders you have placed, or when requested by you, to supply information about our site and products. We do ask you to subscribe to our newsletter to receive emails from us. If at any time you would like to stop receiving emails from us, please send us an email, and we will promptly remove your address from our list. The Olive Oil Emporium will never sell or give out your email address to any third party for any reason. We hate SPAM as much as you do! When your information is requested on our website, it is transmitted over a secure server. Your credit card information is a serious matter, and we can assure you it is handled in a very secure manner. The Olive Oil Emporium’s online payment process that requires your credit card information employs Secure Socket Layer (SSL) encryption. This encrypts (or scrambles) sensitive information before it is sent over the Internet, and is handled by the secure site and servers of Paypal. At no time does The Olive Oil Emporium collect or store any of your personal credit card information on its server or in its files. All pages on or website are secure and all info that is entered and collected on our site via newsletter subscription forms, contact us forms, wedding info requests, etc, is all private and ecrypted for your safety. The Olive Oil Emporium online payment process through the secure portal of Paypal will allow you to conveniently and securely complete your purchase with VISA, AMEX (American Express), and MasterCard. The Olive Oil Emporium will track your IP address to help us collect information about your shopping habits and to manage potential problems with our website. We also use temporary cookies (a small file placed on your hard drive when you visit our site) to identify you and the contents of your shopping cart as you visit our store and website. Due to the limited and exclusive nature of many of our products, it is possible that in some rare cases, products listed and displayed for sale on this site may not be available. We will do our best to ensure that any unavailable or sold out items will be updated on our site as "Sold Out" to avoid any confusion. Should an unavailable or sold out item be unmarked and added to your cart, we will contact you to inform you of the error and will offer alternatives. All the prices displayed on this site can bee seen in either Canadian Dollars ($CAD) or United States Dollars ($USD). You may choose your preferred currency of choice from the currency selector at the top of our website. We reserve the right to withhold or cancel an order if the pricing on our web-page has been posted in error. We assure you that our pricing is extremely competitive and a fair representation for the products we offer. Should you find a lower price for an identical olive oil with another supplier, please be sure to confirm all details of what is being offered by them. With all the olive oils on our site, you are guaranteed to be receiving a fresh, premium extra virgin olive oil, or a cask-aged, natural, balsamic vinegar that has been handled and stored with care, and you will always know what its harvest date is. Many of our competitors will often NOT disclose, or "hide" the harvest date, and may even be selling "old" stock. The Olive Oil Emporium website currently uses Canada Post for shipping your orders. All oils and vinegars are bottled fresh upon receipt of your order and can be shipped throughout Canada and the US. For orders shipped into the US, packages are passed onto USPS by Canada Post once they cross the border. Our packages are all traceable for your assurance. Should you wish to use an alternate shipping carrier, please contact us by email at info@oliveoilemporium.com to discuss your requirements. There may be a shipping surcharge for using an alternate carrier. On occasion, and at our discretion, The Olive Oil Emporium may use an alternate shipper to deliver your products if we feel it is more appropriate for the products being shipped and/or more appropriate for the location of the destination. In such instances, this will not affect your rate. We always ensure all packages are appropriately packed so that the olive oils and other products reach your door safely. We reserve the right to cancel an order if the shipping rates have been miscalculated. Shipping currently applies to Canada and the continental United States. For other countries please contact us for arrangements. Be advised that The Olive Oil Emporium is not responsible for any additional customs charges or fees that may be added beyond the Canadian border. Any such fees, if applicable, will be the responsibility of the buyer. All orders are shipped out within 1-2 days of payment receipt and confirmation by The Olive Oil Emporium. Your satisfaction is important to us, and we take many precautions to ensure the products you have purchased reach you in pristine and fresh condition. In the rare event that a bottle(s) or product(s) arrives damaged please contact us immediately to make the necessary arrangements. There are no exchanges or returns on any food items if the package is not damaged. Any returns for damaged products must be arranged directly with The Olive Oil Emporium within 10 business days of receipt. Canadian and International copyright laws protect all images and contents within the Olive Oil Emporium web site. These laws prohibit the unauthorized copying and reproduction of web pages and images, content, or design, other than downloading them for personal viewing, without prior written consent of the Olive Oil Emporium. 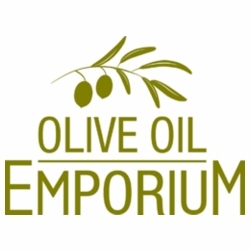 The Olive Oil Emporium logo and olive branch, as well as the combined terms "Olive Oil Emporium" are the property of the Olive Oil Emporium and are protected by International laws. Note that The Olive Oil Emporium will often use a third party shipping / carrier service to deliver its packages and orders placed by phone with our staff, on-line through our website (www.OliveOilEmporium.com), through our mobile app, or in-person at either of our brick and mortar locations. On occasion and with very specific circumstances, we may deliver our products using our own staff. When using an outside shipping company and service (including but not limited to: Canada Post, USPS, UPS, FedEx, CanPar, and other courier services) there may, on rare occasion, be logistic challenges, delays, and/or errors that may cause a delay in the delivery. Such occurrences, while very rare, may be possible, and are completely out of our control. We ensure all orders and packages leave our facility at a timely manner, but will not be held responsible for delays that occur with any of our shipper/carrier/courier partners. Should any delay occur while in the hands of our shipper/carrier/courier partners we will make every effort to work with them and you to remain updated with the status. The Olive Oil Emporium is not financially liable in any way for any delays that may occur during the shipping process.